2017 Youth In Music teams up with Chops Inc Drum Corps and More! 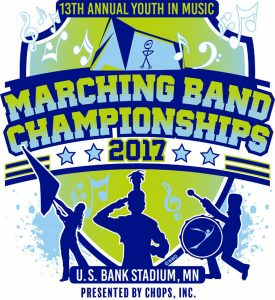 For 2017, Youth In Music Marching Band Championships are presented by Chops Inc. at U.S. Bank Stadium on October 14 from 9am-10pm. Chops Inc. is an all-age music & performance organization based in Minneapolis, MN. Chops offers performance opportunities in Chops Drum and Bugle Corps, Chops Percussion Indoor, and Chops Winter Guard. Their partnership with Youth In Music reflects their belief that the best approach to music education is through the incomparable experience of a well-supported school-based music curriculum. There is no greater platform for music education, specifically through the marching arts, in Minnesota and the upper Midwest than Youth In Music, and Chops proudly supports the efforts of the band directors, teachers, students, parents, and fans who make it possible for all. Youth In Music Championships presented by Chops, Inc. spotlights 26 high school bands in competition for Class Championships, The Minnesota State Championships and The Youth In Music Upper Midwest Championship. 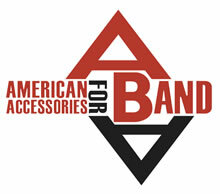 Five other bands will perform in exhibition: University of Wisconsin LaCrosse Screaming Eagle Marching Band, North Dakota State University Goldstar Marching Band, University of Wisconsin Eau Claire Blugold Marching Band and The Marine Band from New Orleans. This year we recognize two distinguished band directors for their lifetime achievements in music education. Roger Bjorklund and John Greene will receive our Lifetime Achievement Award: The Butch Dufault YIMMY. Roger Bjorklund is known for his outstanding bands and recordings with the St. Anthony Village High School Bands. John Greene from District 196 is recognized for his outstanding jazz bands, marching bands and leadership in the marching arts of Minnesota. Join us at 4:30pm to honor these two outstanding educators. Youth In Music provides opportunities for students to perform and engage in experiences that will enrich their lives through artistic expression. We believe that arts education is a critical part of a complete education and that communities thrive when supporters, volunteers, families and friends collaborate with students as our number one priority. Youth In Music is proud to provide five $500 scholarships to students who participate in our Marching Band Championships each year. We have been able to increase the number of scholarships because of the support we have received from our sponsors and volunteers. 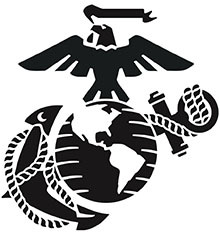 Thank you to our 2017 Sponsors: Chops, Inc., Schmitt Music, Grand Tours, YAMAHA Instruments, Stanbury Uniforms, and the US Marine Corps. Bands will start warming up in the Commons at 6:30am on October 14, 2017 and representatives will be available for interviews throughout the day.